The free telephone line in the Agency for Real Estate Cadastre is operative since mid 2006. The first call at this line was received on 11.07.2006. In January 2007, the telephone line was expanded with options for selecting 1 and 2 for Macedonian and Albanian language speaking operators. The free telephone info-line is also used for filing complaints regarding improper conduct by an employee, bribery and corruption, as well as for obtaining information about the status of a particular application etc. The line is open every working day from 08:30h till 16:30h. This Info - line is established as a support for the professional clients (notaries, private geodetic companies, municipalities, enforcement agents, lawyers, banks, etc) who use the electronic services of the Agency for Real Estate Cadastre such as the E-cadastre and the E-Front Desk. The line is open every working day from 08:30h till 16:30h. This line is operational since 16.02.2007 as an info-line for foreign investments. 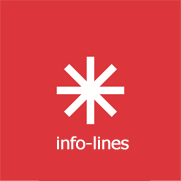 Starting from 19.11.2007, the line was expanded as an info-line for domestic business companies. In order to meet the needs of the clients, AREC launched a web service for e-check in the land cadastre, intended for the private geodetic companies which can obtain information at the above listed phone number. The line is open every working day between 08:30h and 16:30h.